MyMarketingDept. Inc helps you achieve an affordable small business marketing program in less time and with less effort, allowing for a constancy of marketing every day that gets results. If you face any of these marketing challenges or similar ones for your small business, we can help. B2B Sales Leads Call You! Too often small businesses lose sight of their real marketing goal. They often are caught up in a dizzying world of marketing "mumbo jumbo" associated with the latest marketing jargon when trying to generate sales leads for their business. Unfortunately, this usually results in a lot of wasted time, money and no new business leads. The question you need to ask yourself is - "Do I want to be a B2B marketing expert? Or would I rather manage a professional marketer to plan and execute my marketing with one simple objective to generate more B2B sales leads for my business." What if you could get the kind of B2B sales leads you need? 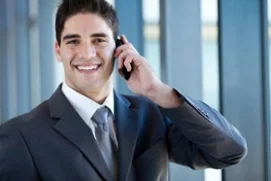 You know; new business leads where sales prospects call you and say; let's meet or talk on Tuesday at 10:00 AM, well you can! Our deliverable is to grow your sales. 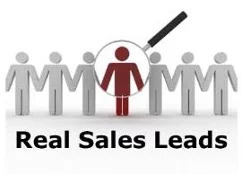 We do this by generating high-quality B2B sales leads obtained by sales prospects that call you! We develop a common sense marketing plan that allows you to market your business every day afford-ably. And, we eliminate the small business marketing roller coaster and most importantly, we won't take you for a ride. We provide a turnkey B2B lead generation service like an in-house marketing department, only at a fraction of the cost of a marketing person on your staff. To develop and implement your B2B marketing we work alongside our clients; with MyMarketingDept, you are never alone. We begin by asking questions and understanding your target market of potential customers. We then develop a customized B2B marketing plan that establishes your business goals and objectives along with reasonable performance criteria for measuring success. We then develop a customer-centric marketing communications strategy and offer a variety b2b marketing services to help your company grow profitably. We follow through by orchestrating outbound and inbound marketing services into layered B2B marketing tactics proven with over 25 years of creative content marketing expertise from a professional small business B2B marketing consultant. MyMarketingDept Inc. is a practical, inexpensive, small business marketing solution. It is specially designed to help small businesses and independent professionals increase sales and improve sales lead quality. "Bob you did an amazing job on my Marketing Plan. This document is so well defined and I have such clarity in regards to my biz. Despite the fact that I had 4 hours of sleep, I couldn't resist reading the first 10 pages. All I can say is Wow!" "Robert consulted with us on developing a proposed plan of distribution for a global product manufacturer. His ability to identify the key strategic points necessary to present a strong case for obtaining distribution rights was outstanding. Robert is a marketing professional who applies his craft with a passion that produces great results. If you need a professional marketing consultant that is easy to work with, responsive and highly professional, Robert is an excellent choice." Our experience has been truly rewarding, helping us obtain high quality sales prospects that really want to meet with us has only been the tip of the iceberg given all the benefits we have enjoyed since working with MyMarketingDept, Inc.
Well thought out, innovative, comprehensive! Overall very satisfied with the results and plan that was developed for our needs. I would recommend MyMarketingDept. to colleagues in any field.